When it flows past the Convention Centre in Dublin, the Liffey River is a major waterway and feature of the city. It is also almost at the end of its journey, emptying into the Irish Sea not much further downriver. 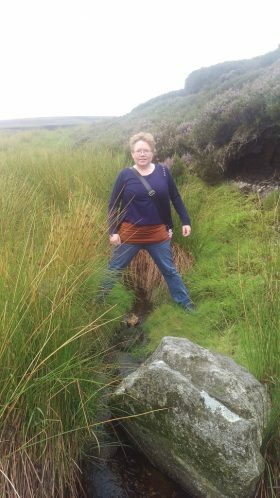 But its origins are much more humble, and tracing its route takes you from the wilds of the Wicklow Mountains, through rich pastures of County Kildare, and into the heart of Dublin City. 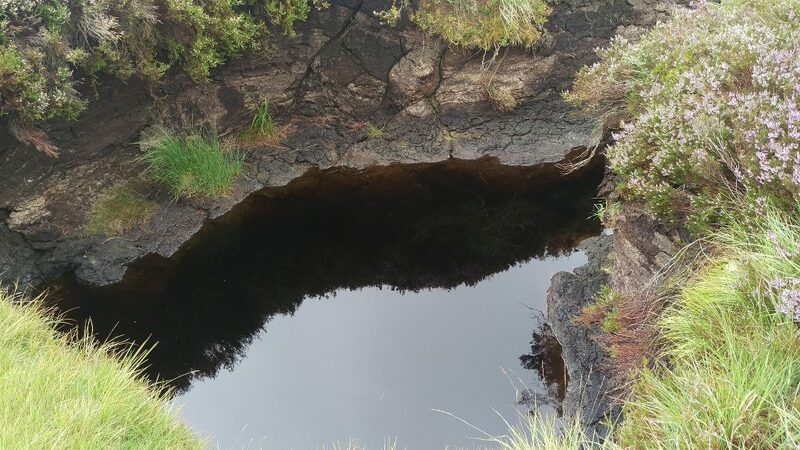 The source of the Liffey is accurately marked on Google Maps, and is within fairly easy walking distance of the nearest road, the R115 towards Sally Gap and Glendalough. Keep a sharp eye out for some stones lining the road, the only sign that you are crossing a bridge, and you can park on the side of the road. It’s a little damp underfoot, being bogland, but following the water reeds upstream brings you to the pool from which it all begins. We visited in a drought, so the water level was low. Back in the car, and at Sally Gap if you turn right towards Blessington the river will pass under the road again, already looking like a chuckling stream. It’s a more scenic spot for photographs, as is Ballysmuttan Bridge another few kilometres downstream. 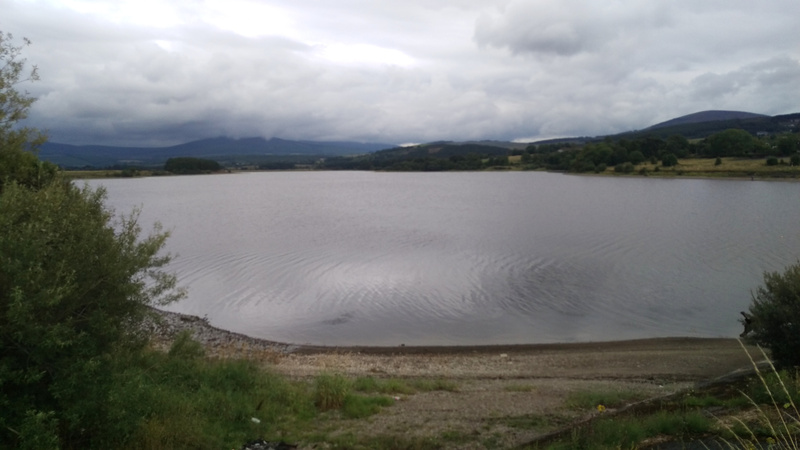 The next milestone on the route is Blessington Lakes, officially known as the Poulaphouca reservoir. The river is dammed at Poulaphouca, and the reservoir supplies water to Dublin city, as well as being a wildlife reserve. The dam is not accessible or visible from the road, unfortunately, but there are lakeshore activity centres offering kayaking, surfing and sailing. Also, it is possible that Poulaphouca is the most Irish-sounding place in the whole country. The jury is still deliberating. 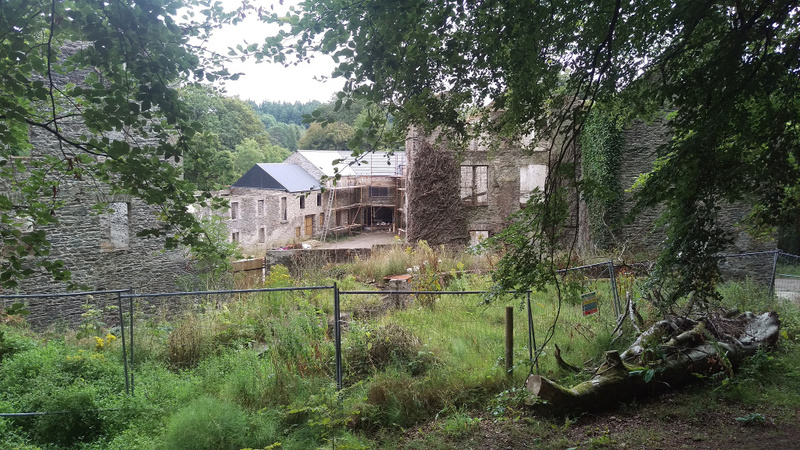 The next village downstream is Ballymore Eustace, with a pleasant riverside walk for a few hundred metres on one side of the bridge, and public although limited access to the Old Mill on the other side of the bridge. The Old Mill is a huge ruin, currently under renovation, and the river rushes past it. Next up is Kilcullen village, formerly Kilcullen Bridge. It is well worth a stop, and the Bridge Community has a riverside walk that is accessible to all, through their organic farm. Benches let you relax away from the sounds of the road and the village. Refreshments at An Tearmann, right on the bridge, are reasonable and recommended. 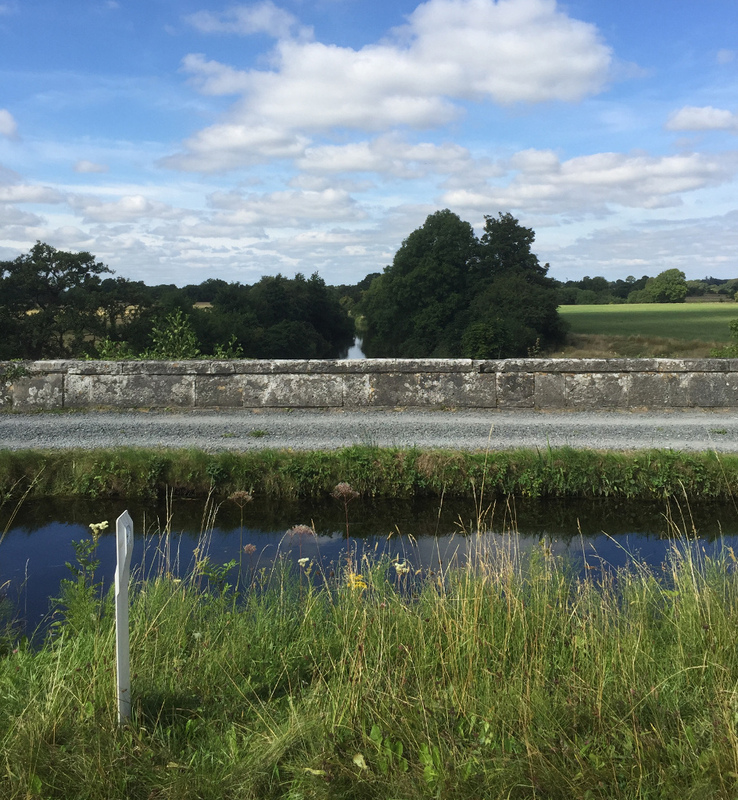 The bridge at Kilcullen was first built in 1310, but will already look familiar from the other bridges you have crossed so far. A fine piece of Victorian engineering restoration work. This is the edge of The Pale, the area around Dublin that was settled during Elizabethan times and considered ‘tamed’. The landscape starts to change here, as does the land usage, architecture, and, while it may not be obvious from the car, the culture. We are also back in the world of paid parking. 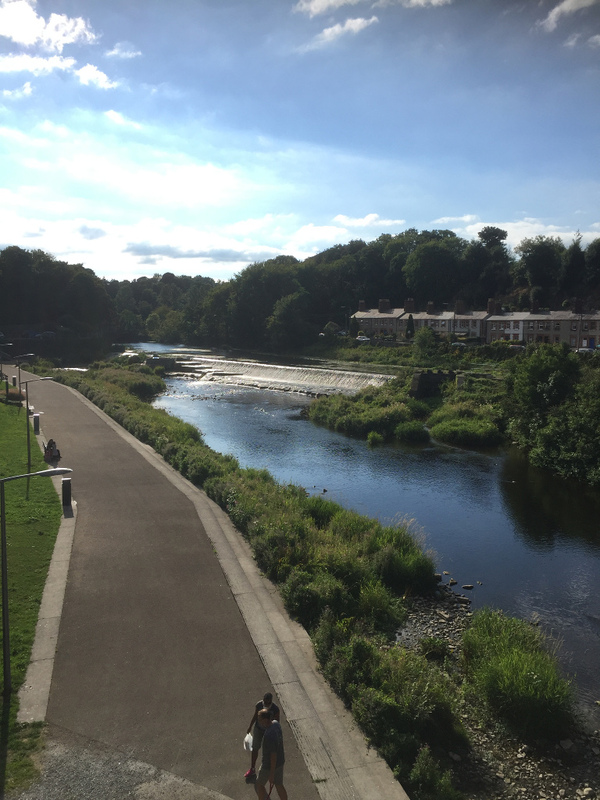 The Liffey winds its way through many of the major towns of Kildare, unsurprisingly. This piece does not have room to give them all justice, and this author is wary of provoking the wrath of the Lilywhites. Newbridge has a silverworks which is renowned through the country, Celbridge has another wonderful old mill, dwarfing the one in Ballymore Eustace; both towns are worth spending time in. A particular point of interest in Kildare is where the Grand Canal crosses the Liffey via the Leinster Aqueduct just outside Sallins. Finding this on maps applications can be a little tricky, but Google Maps for instance has Liffey Bridge, Waterstown, on Apple Maps search for Waterstown. There is a wonderful path along the canal from Sallins that will take you over the aqueduct, if you have or rent a bicycle or fancy the walk. Otherwise, pulling over on the road and viewing from the aqueduct is satisfying as well. Neither option, unfortunately, are easily photographable, maybe needing a drone to show the aerial view. At Leixlip, we are back in County Dublin. The river runs through the town, but it is obviously not a major part of the economy, unlike in the city itself. Parking by the Spar is free during weekends, and offers easy access down to the Castle Boathouse, on the river just by the bridge. 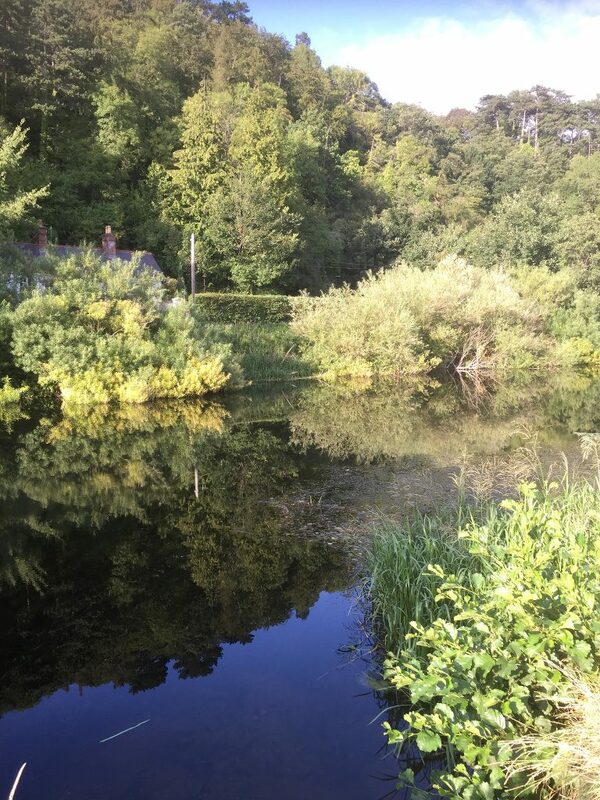 If you like walking, there is a maintained river path from Leixlip to Lucan that is scenic and home to much wildlife that shuns the more urban lower waters. This route is very popular, so prepare for encountering others frequently, although away from the road it is a peaceful location. In Lucan, the town seems to face more into the river, rather than away from it, as in previous settlements we have been through. 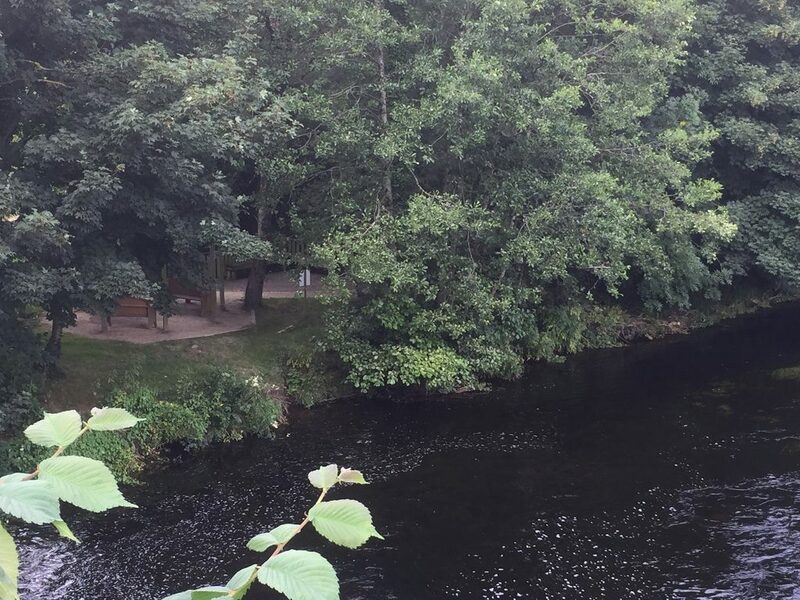 A popular park by the river sees people feeding ducks with their children below the weir, and a scramble underneath the road bridge lets you pick through the detritus of teenagers’ parties, should you so wish. We are definitely closer to a major metropolitan area, for all that we seem isolated from it. The final stop on this suggested tour, before entering the centre of Dublin proper, is in Palmerstown, at Waterstown Park. Running east of the M50 motorway that is the ringroad of Dublin City, this is the final example of a massive engineering project bridge, the so-called West Link, before the city centre itself. Waterstown Park is not especially well-known or well-frequented by tourists, so the people walking themselves, walking their dogs, cycling, and jogging are usually locals. Unless you go there for their very popular Saturday morning Parkrun. From the northeast corner of Waterstown Park, you are looking over at the Phoenix Park. The start of Dublin City Centre, and the start of the next post about the route of the Liffey River.